The MagnetVision 3D cinema technology brings images to life with photographic realism that transports patients into an immersive world of entertainment, easing anxiety and boredom. MagnetVision's stunning LED system will delight your patients introducing them to a virtual 3D world they will never want to leave! By creating the ultimate entertainment system in your MRI facility, you'll eliminate appointment cancellations and patient sedation while creating a competitive advantage for your facility! With MagnetVision, your patients can completely forget about their surroundings as they become completely absorbed in watching life-like 3D entertainment. 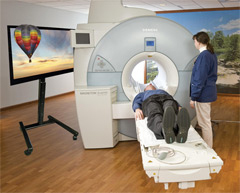 By offering stress-free comfort and relaxation to your patients, you are creating a unique competitive advantage for your MRI facility. Studies reveal that about 12% of MRI examinations are cancelled because of patient anxiety surrounding long, confining imaging procedures. 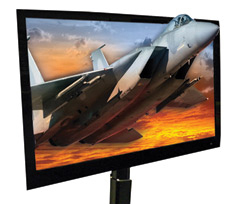 Stay miles ahead of the competition with this leading edge technology that puts patient comfort on the big screen with a jumbo 47-inch 3D monitor!